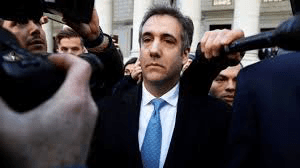 The US Attorney for the Southern District of NY , citing Michael Cohen’s extensive criminal actions and initial being untruthful to federal and state prosecutors has asked the judge in the case to put Cohen in jail for up to four years…. The Mueller Special Counsel group have cited Cohen’s cooperation with them…But have detailed even more extensive contacts with Russian individuals …. The NY feds have including Donald Trump’s name in their paper handed to the court…. The prosecutors said Mr. Cohen deserved a “substantial” prison term that would most likely amount to roughly four years. Prosecutors in Manhattan said the crimes Mr. Cohen had committed marked “a pattern of deception that permeated his professional life,” and though he was seeking a sentence of no jail time for providing assistance to the government, he did not deserve much leniency. They once again emphasized that Mr. Cohen had implicated the president in his guilty plea, writing that Mr. Cohen “played a central role” in a scheme to purchase the silence of two women who claimed to have affairs with Mr. Trump, so they would not speak publicly during the 2016 presidential campaign…. Former Trump campaign chairman Paul Manafort lied to prosecutors about his contacts with the White House and an associate with suspected ties to Russian intelligence, special counsel Robert Mueller‘s office said in a filing Friday. The heavily redacted report filed in the criminal case against Manafort in Washington, D.C., comes more than a week after prosecutors accused the one-time Trump campaign chief of “committing federal crimes by lying to the Federal Bureau of Investigation and the special counsel’s office on a variety of subject matters” in breach of his plea agreement. The report released Friday detailing those claims had been highly anticipated for its potential to shed light on Mueller’s investigation into Russian interference in the 2016 presidential election and possible collusion with the Trump campaign, an investigation that has been kept tightly under wraps. Mueller said in the filing that after signing the plea agreement, Manafort stated he had no direct or indirect communications with anyone in the administration, but evidence demonstrates that Manafort authorized a person to speak on his behalf. “Separately, according to another Manafort colleague, Manafort said in February 2018 that Manafort had been in communication with a senior administration official up through February 2018,” the special counsel wrote in the 10-page report. 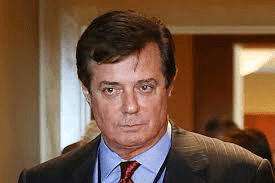 The filing details four topics on which Manafort is alleged to have misled prosecutors….